"Here is the source of this image. 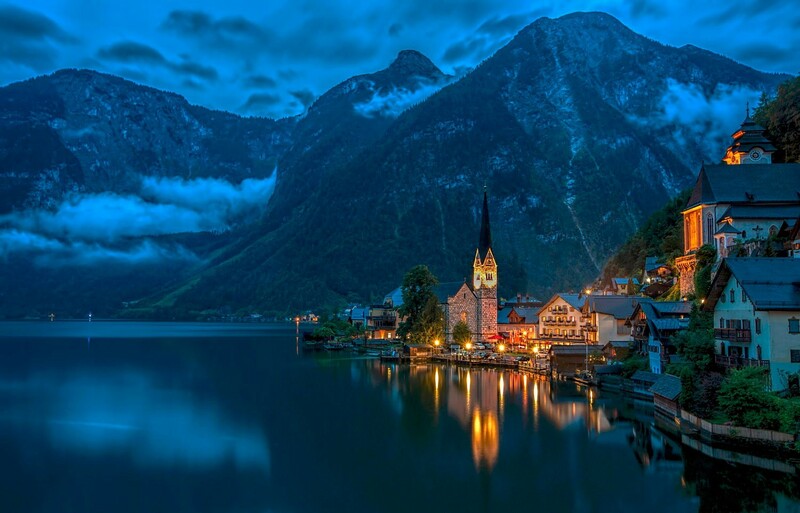 Credit to the photographer, Jiti Chadha, who took this on July 3, 2014 and provided the following caption:"
Hallstatt, overlooking the Hallstätter See (Lake Hallstatt) in Upper Austria, is considered to be the oldest still-inhabited village in Europe and is now a UNESCO World Heritage site. Salt mining was being done here as early as the 2nd millennium BC and it was the site of an early Iron Age culture from 800 to 400 BC, which is known as the Hallstatt Era. Some of the earliest archaeological evidence for the Celts was found in Hallstatt. Besides its history, many consider it as one of the most beautiful places in the world.